How do you know when you’ve harvested a three-year-old rooster? When you have to chew it until the next season to swallow it. 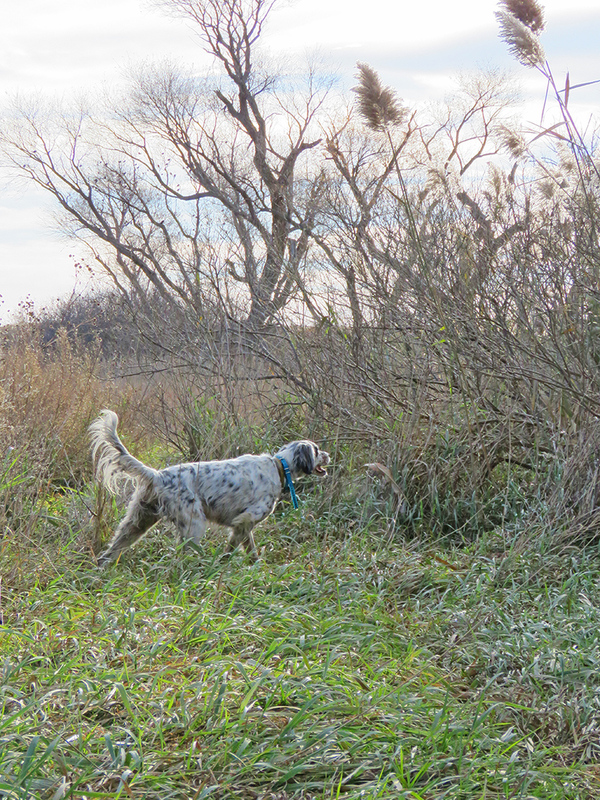 Tough old birds are challenging and fun to chase. But part of that challenge is making them fit for the table. 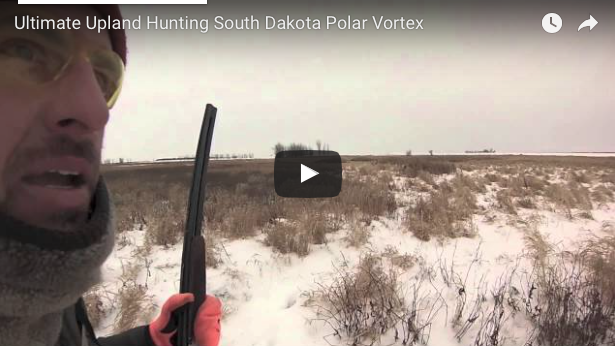 On principle, most hunters will choke down just about anything they shoot — ethics require it. But how do you get that old bird tasty enough to serve guests? Last year I noticed the birds I harvested lacked the pristine, market-fresh appearance of many of the game chefs filling social feeds with haute cuisine photos. 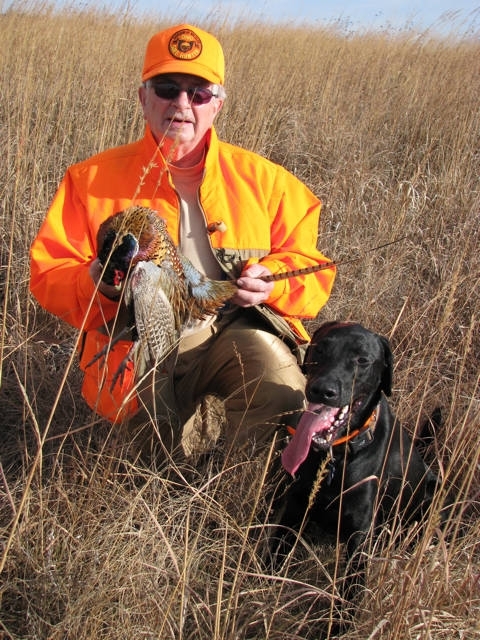 Between my average shooting skills and a young dog with tendencies toward plucking and too much teeth, I was lucky to have birds returned to hand in one piece, let alone pristine. The truth is, some birds just aren’t that pretty when they enter the freezer. So I started thinking about recipes that might redeem the old, shot up roosters that reside in the back corners of the freezer. Brining is an easy way to improve quality of an old bird. 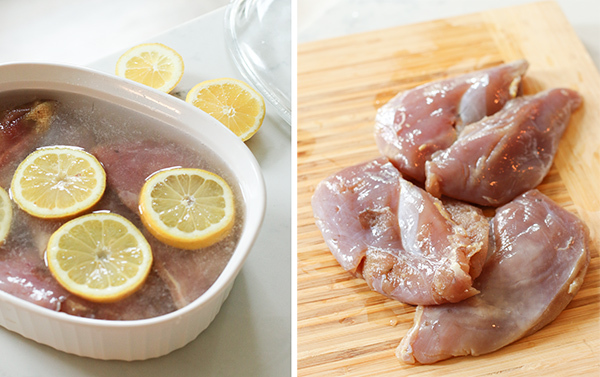 For this recipe we brined pheasant breasts overnight in the refrigerator in a solution of equal parts salt and sugar with a few lemon slices. 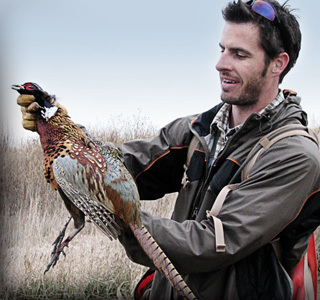 Wild pheasant meat tends to be very lean which can make it tough and dry once cooked. The addition of mayo and bacon adds moisture and flavor as well as binding the cakes. Reviving less pristine birds into a dish fit for family and friends. Pre-cook strips of bacon - you want to stop prior to crispy stage. Let it cool and then chop into small pieces. 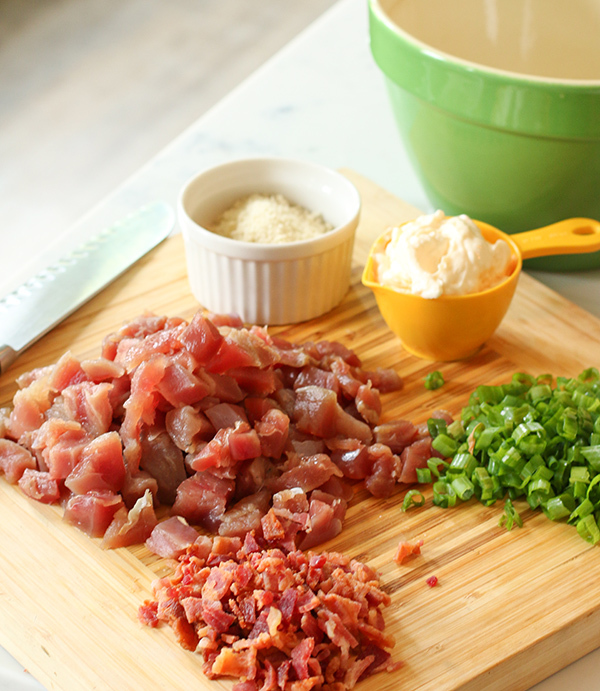 In a bowl combine the diced pheasant, bacon, half of the green onions and half the Panko with the mayonnaise. You're looking for a texture like tuna salad, depending on the moisture level of your birds you may need to adjust the mixture with more/less bread crumb or mayo. Add a dash of salt and pepper, then form the mixture into patties. Press those patties into the remaining half of the Panko to cover both sides. Once the oil is heated, place your pheasant cakes in the skillet. The trick here is to not fuss with them. 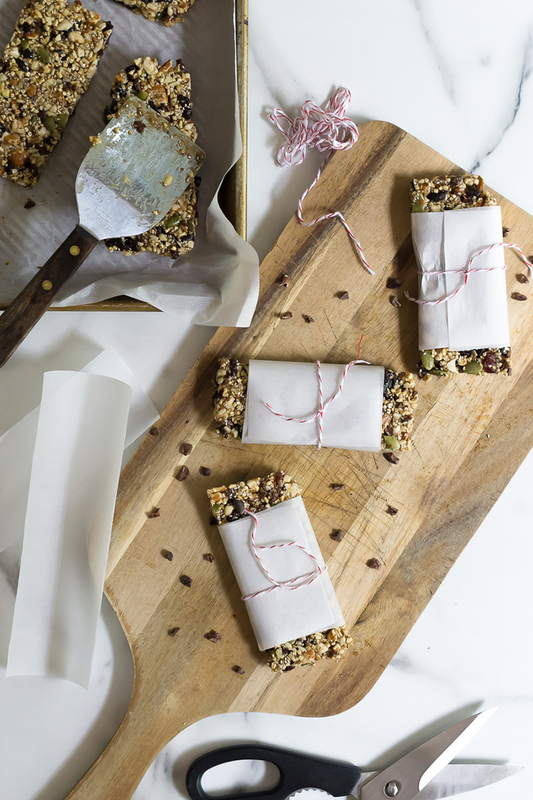 There isn't much filler or binder in these cakes, so you're going for a single flip of each. Otherwise, you risk them falling apart. Allow the crust to form, 4-5 minutes per side. The small cubes of meat along with the high moisture content let these cook quickly. Garnish with the remaining diced green onion. If you have more birds, it's easy to adjust quantities. One strip of bacon per breast. 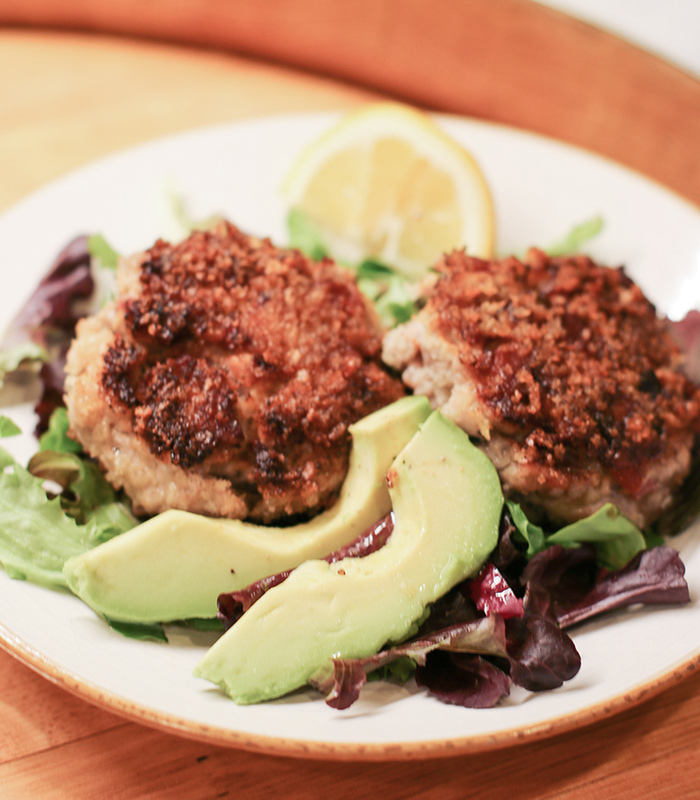 The crisp outsides of these pheasant cakes add a great texture note. We tried a couple of options for serving. Simple and lighter: place cakes on a bed of green with a couple slices of avocado and a squeeze of lemon. 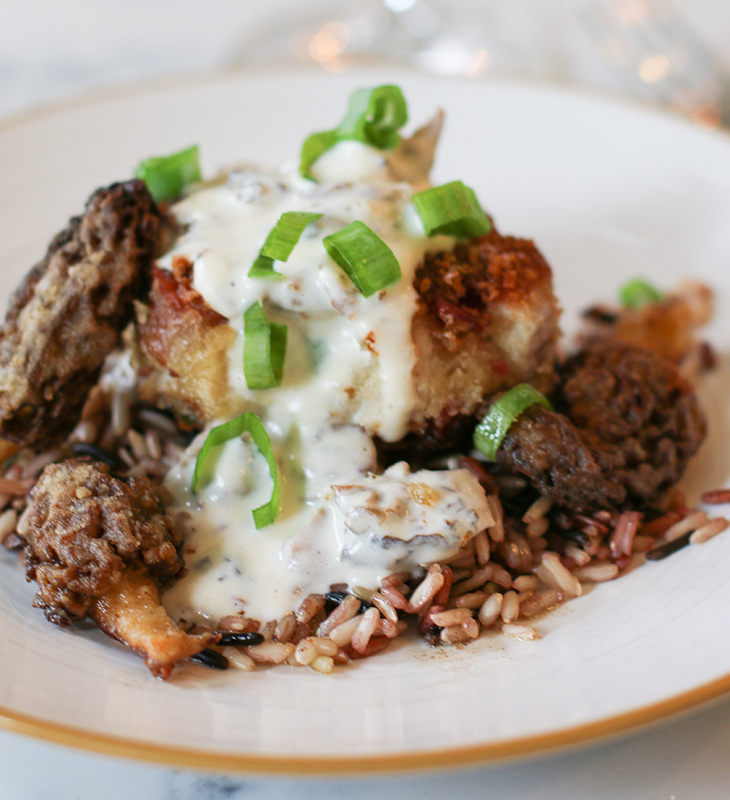 Seasonal and decadent: place cakes on wild rice and smother in morel cream sauce (recipe below). For those fortunate enough to live where morels are available in the spring, they are a great compliment to these cakes and can make this appetizer a decadent seasonal treat. I made a morel cream sauce separating the fungus in half – reserving the nicer shrooms for frying. So simple and good. 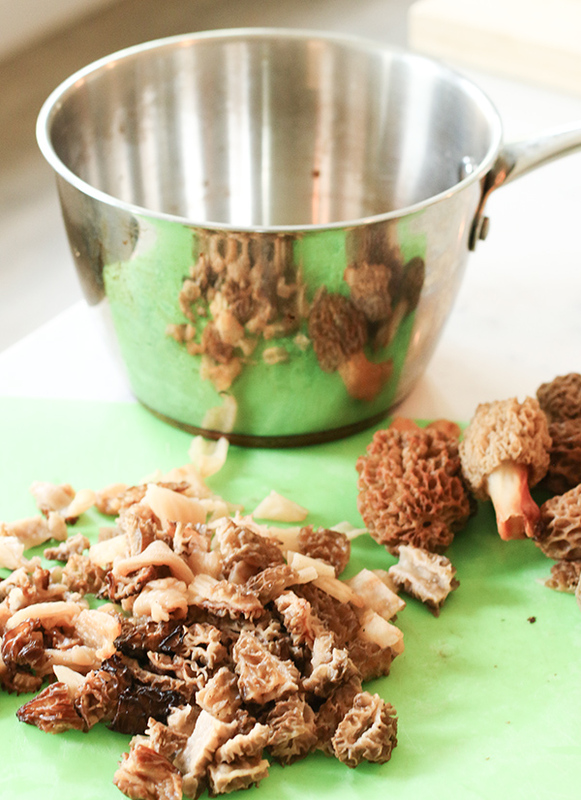 Tough to think of anything that morel cream sauce won't improve. This part of the country, we soak our morels in saltwater for an hour after finding to kill bugs, slugs and the like. 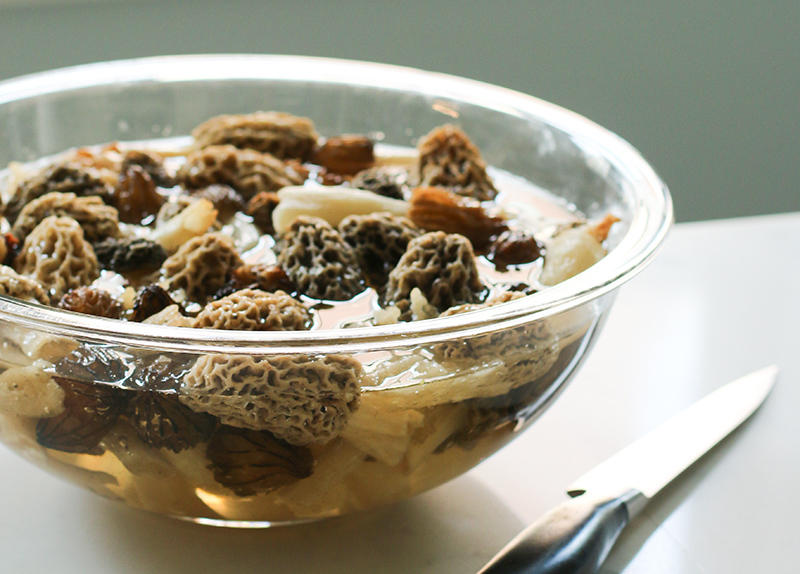 Split your mess into nicer morels for frying and smaller, older, dryer morels for the sauce. Put a rough chop on the morels selected for the sauce. 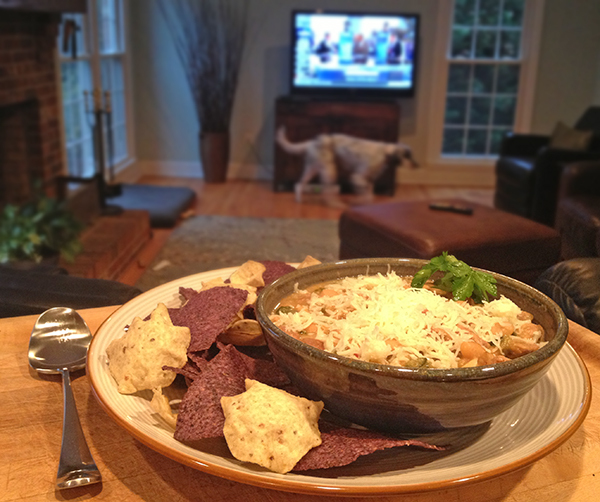 We probably had two dozen total mushrooms for this recipe, so we chopped a dozen. In a saucepan on medium heat, melt the butter and add the chopped morels and a pinch of salt. Allow them to cook until you see the edges begin to brown. And the morels have now flavored the butter. Add the flour while stirring which coats the mushrooms and soaks up the butter making a roux. Slowly add half-n-half while stirring. As it heats it will thicken. Add until your sauce reaches the desired thickness. Slice the other morels in half, dredge in equal parts of corn starch and flour and begin frying them in a skillet with butter. Across much of the Midwest this is the standard preparation, though we've just recently found the corn starch seems to make them a bit crispier. For those not lucky enough to find large quantities of mushrooms, this simple cream sauce can stretch that morel flavor to anything you put it on. The second half of fried morels make a great texture contrast and attractive garnish as well.